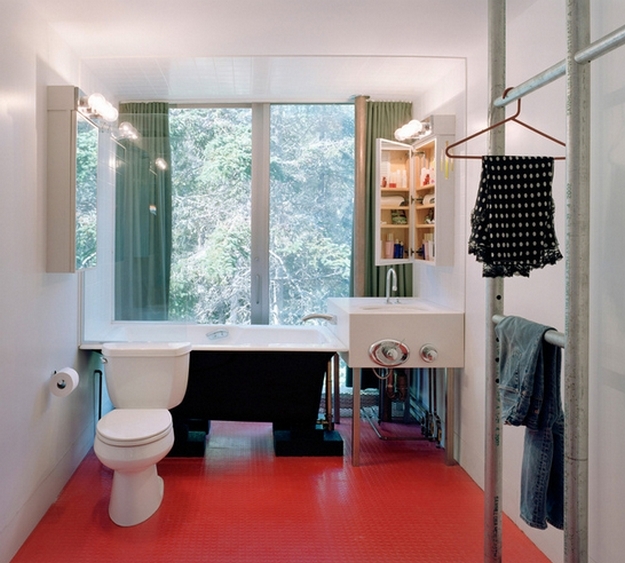 Check out this great but different house, called the Adriance house. 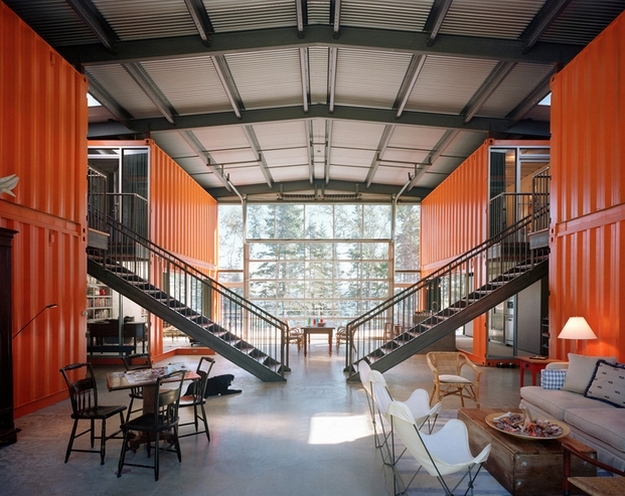 Architect Adam Kalkin combines 12 shipping containers inside a larger structure to create this house in Northern Maine. 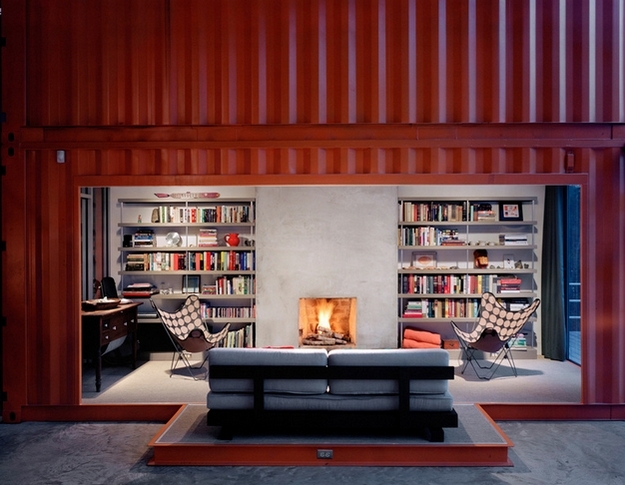 The home uses the containers partially for structure, supporting a glazed glass structure that envelops the home. 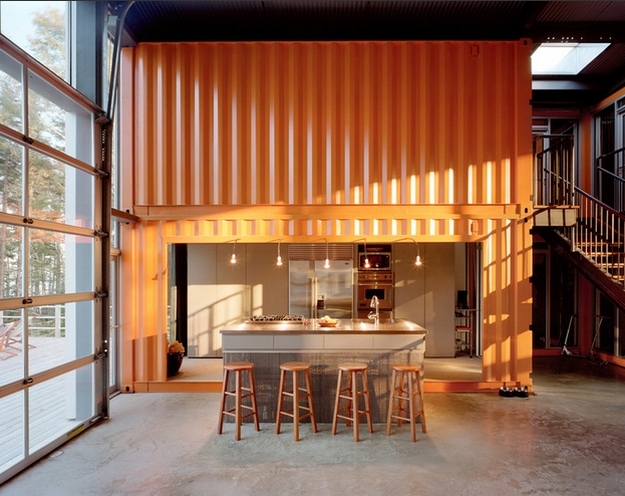 The containers flank the two side walls of the home and on the ground floor are open to reveal the kitchen and the living area. 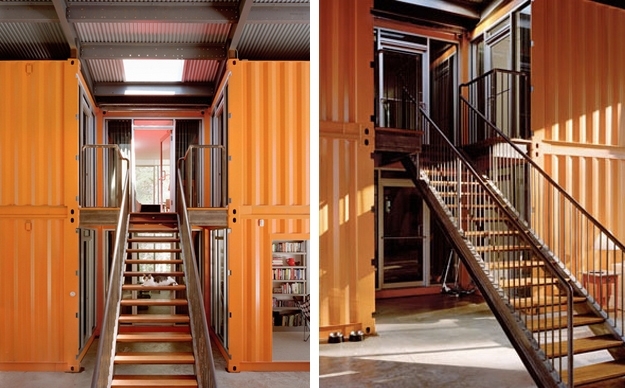 Two steel staircases lead up to the second level of containers where the bedrooms are located. 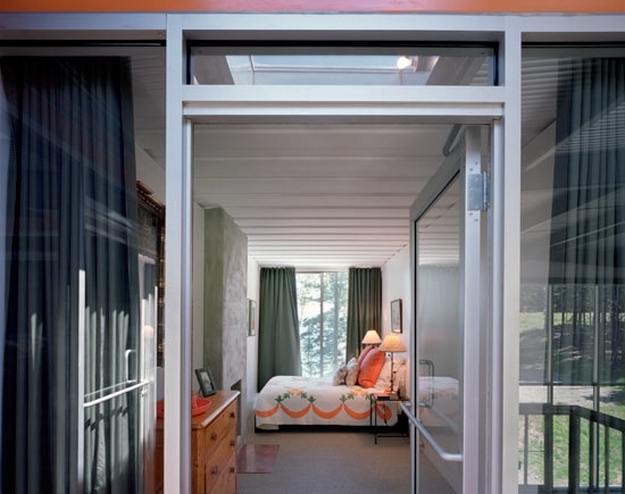 The whole space covers close to 4000 square feet and features a double height garage door style opening that connects the entire home to the outdoors.